From a patient perspective, pulmonary rehabilitation is one of the most important strategies we can use to improve our quality of life. However, making that first step into a PR class can be very daunting. One thing that most respiratory diseases have in common is activity can lead to an increase in breathlessness. When laboured breathing is a part of your everyday life the whole idea of gasping for even more air doesn’t make a lot of sense. So why should we do it? 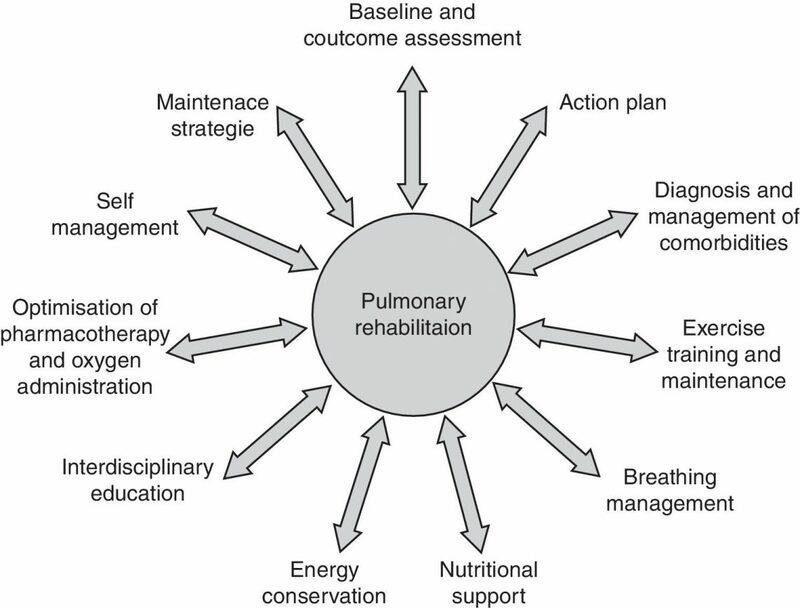 To make sense of this we need to take a few steps back and discuss what pulmonary rehabilitation actually is. Regardless of the country you live in PR is a program designed to improve the quality of life of respiratory patients. Learning about the disease you have and how to manage it in the best way possible is at the forefront of any good PR program. Through education sessions and exercise classes patients become familiar with the idea behind pulmonary rehab. A good program should incorporate 2-3 classes a week over at least a 6-week period. At the end of a PR program it is hoped a patient will not only gain knowledge about their disease but will be proficient in taking their medications correctly, understand their oxygen requirements, learn some useful breathing techniques, understand the importance of nutrition and have a basic understanding of exercises they can perform safely. Now we know a little about pulmonary rehabilitation why should we do it? There are many studies that show PR programs can improve a patient’s quality of life. While the first step can be daunting you can be assured that the caring healthcare professionals who operate these classes will introduce you to the exercise component at a level you feel comfortable with. Once you’ve found your feet in PR a whole new world will open up for you. Your symptoms will in most cases decrease, as your body, especially your lungs become fitter. Less symptoms will mean you will feel more confident in leaving your home. Knowing you can get out and about safely allows you to become the social person you were before being diagnosed. It’s no secret whether you have healthy lungs or not, exercise will improve your general wellbeing and allow you to enjoy life a whole lot more. If dedicating 10% of your waking hours to exercise meant the other 90% percent would be better, would you do it? Take the first step, contact the British Lung Foundation to find the location of your nearest PR program. Whether you’re a healthcare professional or an experienced PR patient, Pulmonary Rehabilitation week in the United Kingdom gives us all the opportunity to engage those patients who haven’t discovered the many joys of pulmonary rehabilitation.